I recently spent some time out in the Goldfields of Western Australia with the State Emergency Service (& my ever present camera). Once per year, during the Labour Day (WA Day) long weekend, the WA SES hold the Goldfields SES Challenge at a different location within the region. 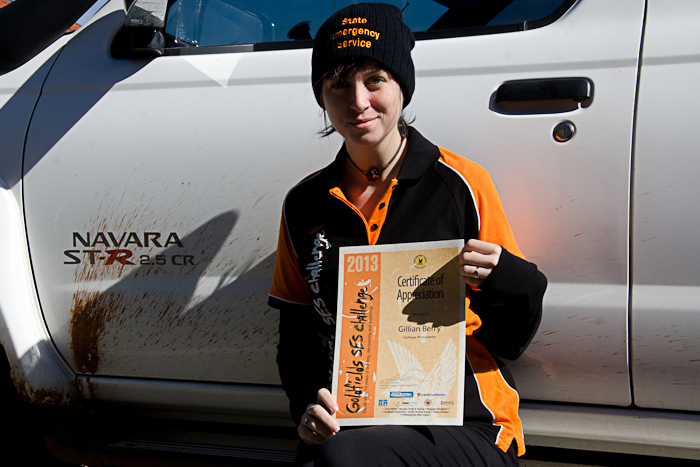 This year was their 10th annual challenge & was held at Boondi Rock, just outside Coolgardie. 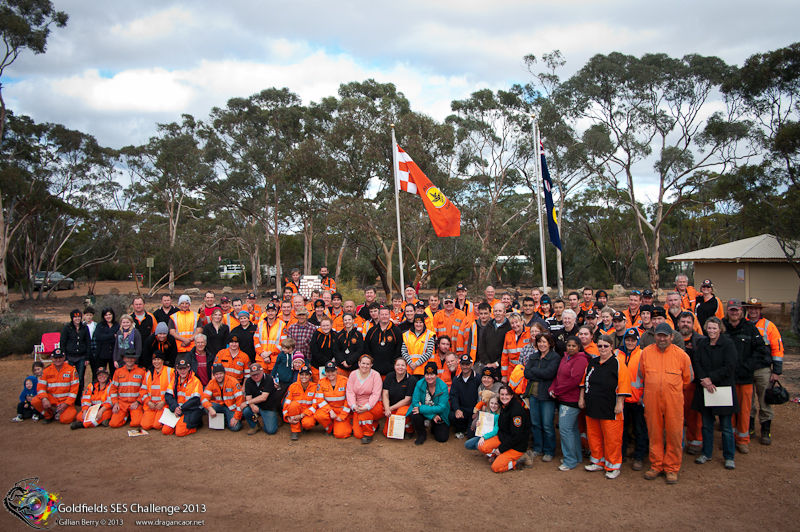 Eleven teams from different WA SES units travelled from Kalgoorlie, Perth Metro, & even as far away as Manjimup for the event, & created a tent & caravan city filled with more than 150 people all wearing orange. The Goldfields SES Challenge gives them a chance to have fun while practicing their skills & competing against other units. Assessment stands included Search & Stretcher, Nagivation (Urban & Rural), Chainsaw & Roof Safety Systems, Storm Damage, Road Crash Rescue, & Communications. They made me feel welcome, as though I was one of their own, & it made the task of following them around for 3 days a lot more fun. Not that I don’t enjoy camping (far from it), but it was certainly a difficult time on my back. Their campfire camaraderie was second to none!! And the friendly saboutage that occured throughout the campsite on the Sunday night was hilarious! Congratulations to Baysenerries (of Bayswater SES), TRK+1 (of Rockingham/Kwinana SES), & the Prospectors (of Kalgoorlie SES) for coming first, second & third respectively at this year’s event! The State Emergency Service is made up almost entirely of volunteers. It’s hard to believe when you consider what they put themselves through. They tirelessly attend storm damage, missing persons searches, & assist Fire & Rescue Services at large fires & certain road crash incidents, as well as a host of other things. Next time you see a sea of orange climbing over a broken roof in a storm in the dark, be awed. These hardworking men & women are on call 24/7, & 3am phone calls will see them up & out of bed, dressed & on site because they are dedicated – not paid. Not only did they make me feel welcome, they dressed me in a challenge tshirt & gave me a certificate! ← . : Shadow :. Loved. Cherished. Missed.